What’s It About? Everyone knows the basic story behind Star Wars, right? If not, where have you been for the last 35 years or so? The most famous sci-fi film series and media franchise in history, Star Wars has spawned an immense amount of spin-offs in various forms – video games, books, and television shows. There’s a whole expanded universe that keeps fans entertained during the long wait for whenever the next movie hits the big screen. After all, there were over two decades between the end of the original trilogy Return of the Jedi and the beginning of the prequel trilogy The Phantom Menace. Now with Disney on board, we eagerly await the sequel trilogy with Episode VII scheduled for 2015. One of the most successful Star Wars projects is The Clone Wars, an Emmy Award-winning CGI animated TV shows. Launched in 2008, The Clone Wars is set between Episode II: Attack of the Clones and Episode III. With familiar characters such as Anakin Skywalker (Matt Lanter, 90210), Obi-Wan Kenobi (James Arnold Taylor, Final Fantasy X) and Yoda (Tom Kane, Wolverine & X-Men), it’s a show that any Star Wars fan and newcomers can jump right into. While it does have a strong mythology, it’s a show that’s still rewarding for new viewers, as well as those with a greater knowledge of the Star Wars universe. By Season 5, The Clone Wars has evolved into a show with guts and determination. This is no longer a build up for future seasons but one where storylines peak, characters die, and multiple resolutions occur. Without giving too much away, there’s some real ambition and daring moves here in the fifth season and some true surprises. Ahsoka Tano (Ashley Eckstein), a Jedi Padawan assigned to Anakin, takes her place front and centre this season, working alongside Skywalker and goes through the most emotional story arc of them all. Choices are made and people are betrayed, and Tano ends up in a place she never saw herself in. Her influence is felt over a number of storylines throughout the season, especially the Young Jedis. Another welcome surprise is the approach to Darth Maul where in a few episodes we’re given the opportunity to see him as a more rounded character and appreciate what he’s about. That’s the best thing about The Clone Wars – it gives us the time to get to know these characters better than in the movies, and even relate to them a little too. As well as Maul making an appearance, we also get to see Grievous and Darth Sidious as well, with welcome development for some very famous faces. One of the most significant developments is the journey that Anakin takes from Episodes II to III and The Clone Wars helps fill in the gap. Verdict: Season 5 of The Clone Wars is right up there at times with the best that the show has delivered so far. It looks fantastic, and some of the storylines are not only top drawer for The Clone Wars but among the best Star Wars has offered over the last few decades. 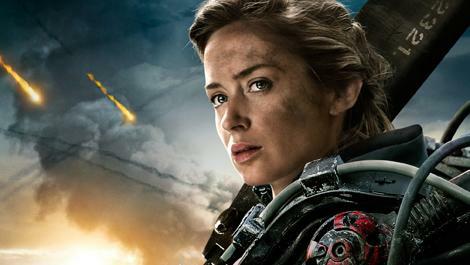 It’s clear that those involved adore the franchise and want to deliver the best they can in terms of drama and action. There’s a strong mix of emotional moments and pure adrenaline here with some fantastic lightsabre battles as you’d expect. By the end of the season, The Clone Wars is in a very different place to where it started, and the final episodes have been confirmed for 2014. If you’re a fan of the show, this is definitely one season you don’t want to miss, although I wouldn’t really recommend it as a starting point. To appreciate it fully watch the previous seasons to get to know the characters first. Extras: On top of the 20 episodes served up in this set, there are a number of commentaries which give some great insight into the show. Star Wars has always been a franchise that has relied heavily on the detail, and so it’s a great opportunity to hear more about what goes into making the show. There are a couple of Easter Eggs too – Dave Filoni Art, Celebration VI Chalk Art and an Ahsoka Timeline. While this isn’t extensive content, it’s certainly enough to be getting on with for dedicated fans. Final Words: There is no better time to catch up with The Clone Wars and other Star Wars spin-off productions than now. These will make for a great way to pass the time while waiting for the new movie to be released, and perhaps some of the characters will even be included in storylines. It’s a very exciting time once again to be a Star Wars fan, and the winding down of The Clone Wars is a shame. Season 5 is a must-buy for current fans and something that others should watch once caught up with earlier seasons. 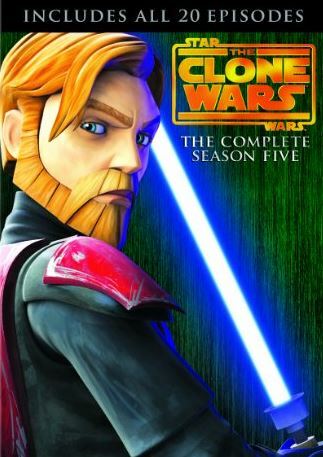 Star Wars: The Clone Wars Season 5 and Star Wars: The Clone Wars Seasons 1-5 Collector’s Edition are out on DVD and Blu-Ray today. Television addict from Lost to X-Files to Breaking Bad and beyond. General hoarder of DVDs and Blu-rays (2000+). Addicted to Twitter.